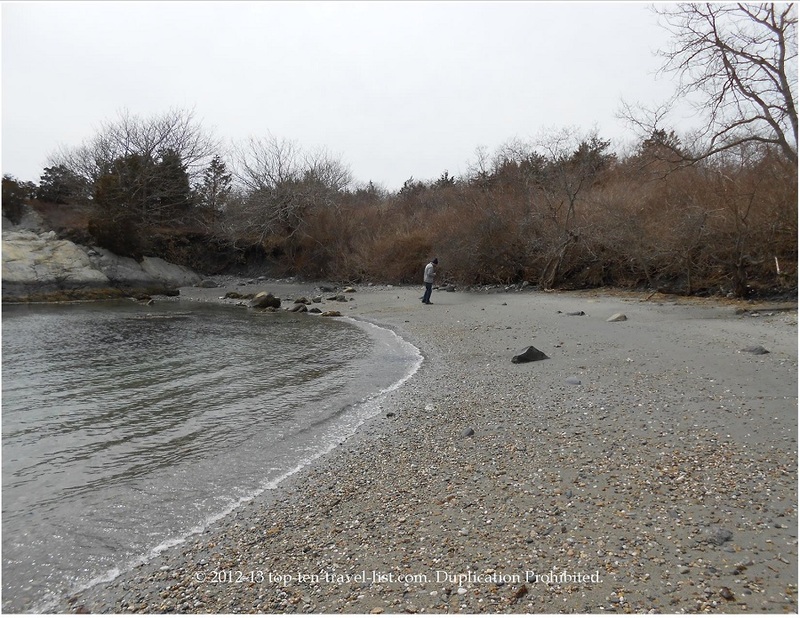 Jamestown Island, Rhode Island: The Search for Sea Glass - Top Ten Travel Blog | Our experiences traveling throughout the US. 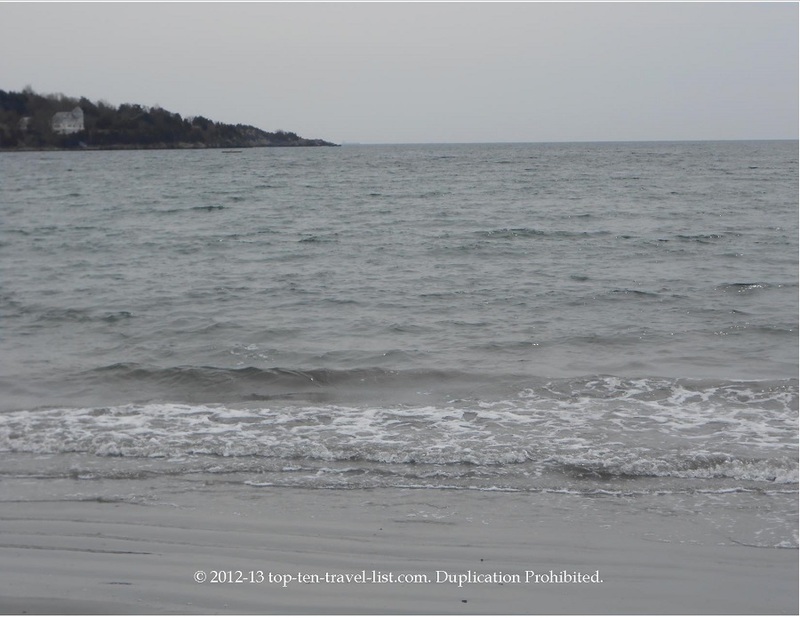 I took a trip out to Jamestown Rhode Island this weekend to look for sea glass. 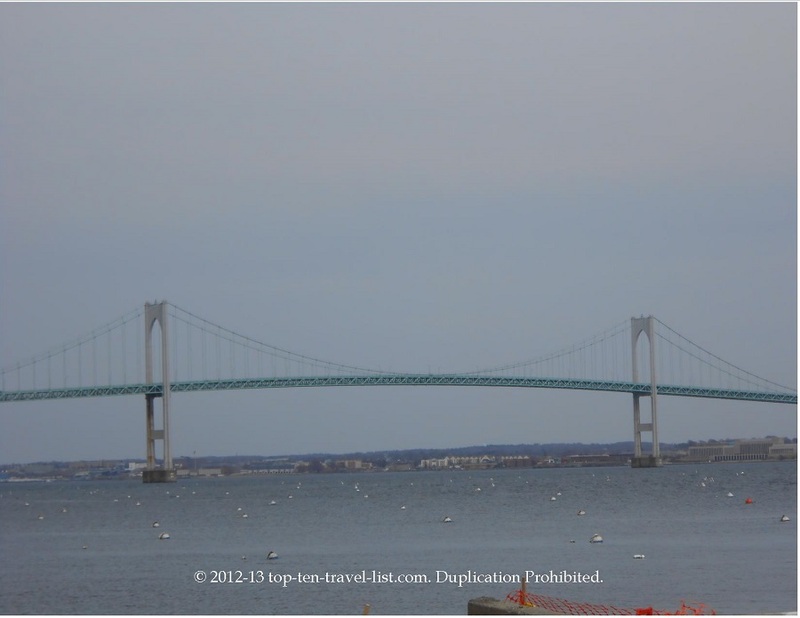 Jamestown is located on Conanicut Island about a ten minute drive from Newport. The island is connected by bridge and you have to pay a small toll to pass ($2). The views going over the bridge are magnificent! Because of the old history of the area, the beaches are known as great spots for finding sea glass. I found several pieces of old blue sea glass, which was great! After checking several town beaches, I recommend checking by the ferry for the highest quality glass. 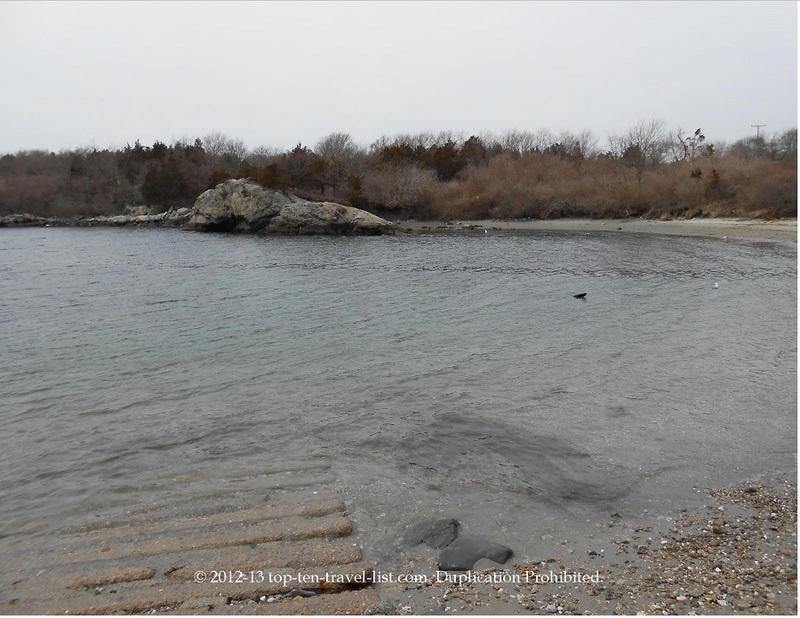 The views among the island are beautiful, and I am sure much better in the summer months when the temps are warmer! Check out some of my pictures from the island below!